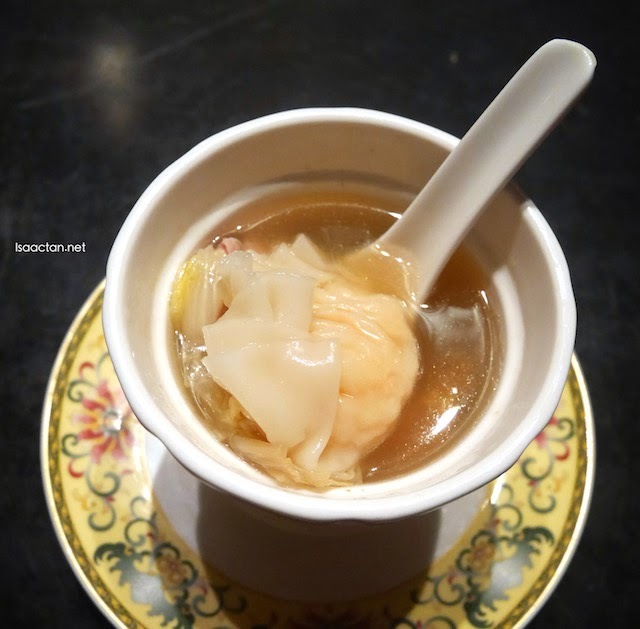 It's been a while since I've been to Lai Ching Yuen Chinese Restaurant at Grand Millennium Kuala Lumpur, so it was with great delight that I stepped into the restaurant to sample their Chinese New Year offerings this year. 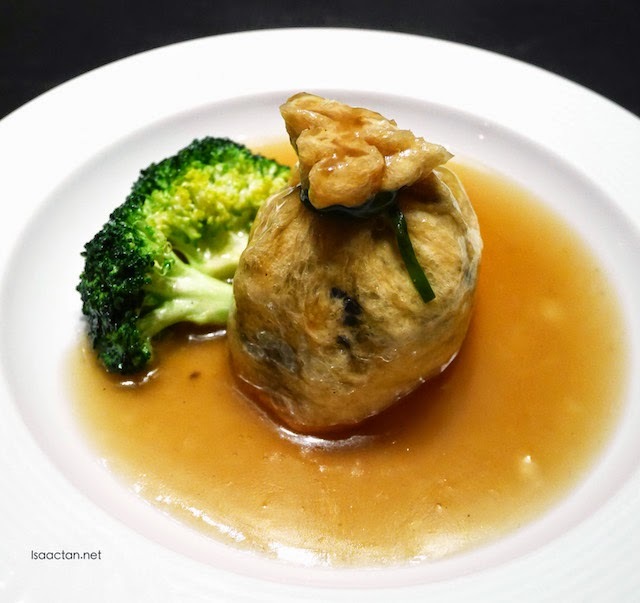 My last visit there was way back in 2012 (Mooncakes @ Lai Ching Yuen Grand Millennium Hotel) Do check out what they have to offer this Chinese New Year 2015. 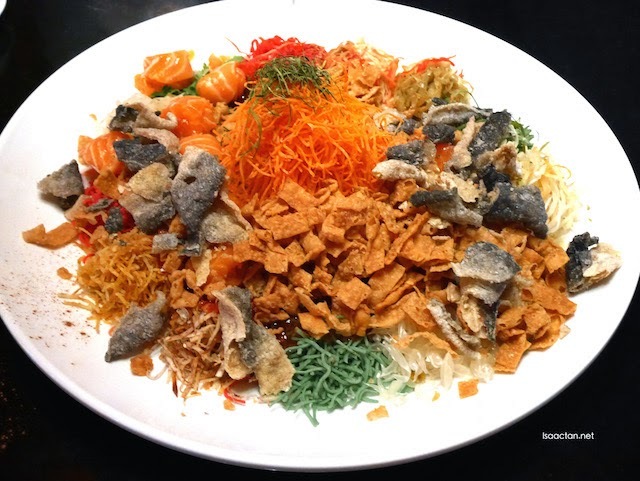 An added twist to the usual salmon Yee Sang, at Lai Ching Yuen, we had their Yee Sang with Norwegian Salmon and Crispy Fish Skin. 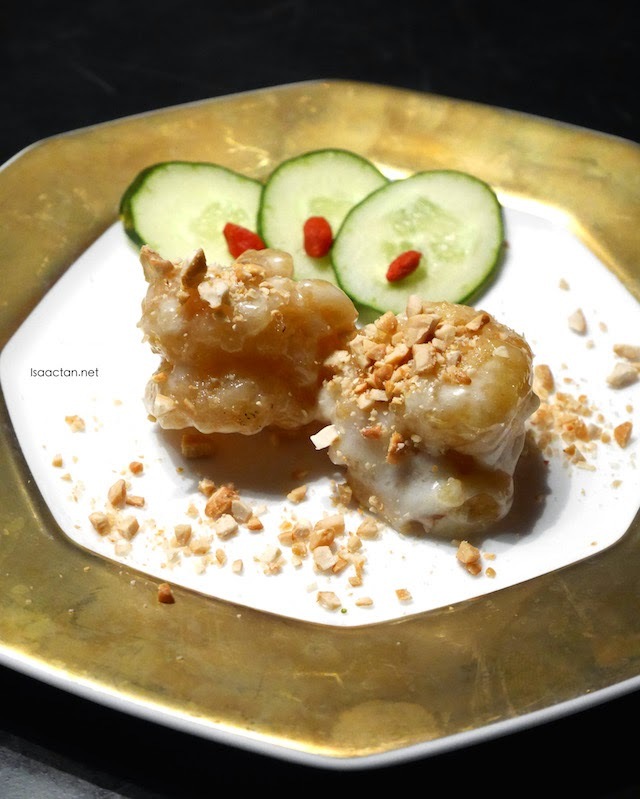 The crispy fish skin made all the difference, with that extra crunchy bite. Love it, especially when they throw in double the amount of crispy crackers into the mix. Instead of plum sauce, they used strawberry sauce instead, and my was it good! 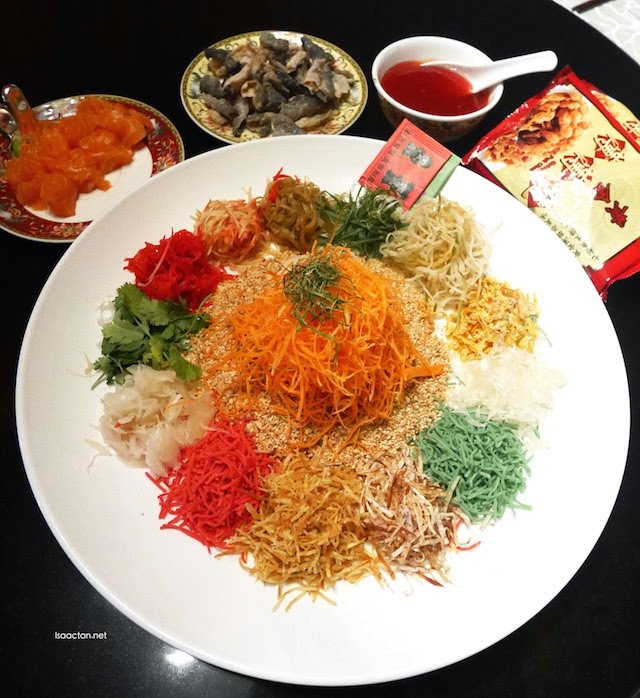 We kicked off the Chinese New Year meal with the Double Boiled Dry Scallop Soup with Chinese Cabbage followed by some very nice Deep Fried Prawns with Chef Heng’s Mayonnaise Sauce. The soup was served individually, with yummy dumplings to die for. I personally loved the deep fried prawns, and with only two pieces per person, I did not get enough of it! Fresh and succulent, the mayonnaise sauce added some very nice flavour to an already tasty dish. 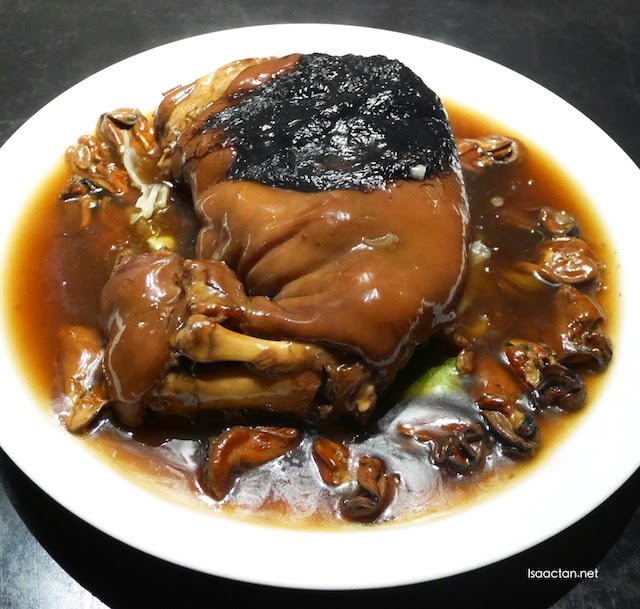 Instead of the usual mushrooms with sea moss and dried oyster, Lai Ching Yuen upped the ante with a huge serving of Braised Pork Knuckle with Sea Moss and Dried Oyster. Tender, literally melting in your mouth, be prepared to have your cholesterol level checked after indulging in this sinful dish. In case you are missing a mushroom dish, fret not, as they have these cute Assorted Mushrooms in Bean Curd Bag for you to indulge in. I think this could otherwise be named a 'money bag', with generous amounts of mushrooms stuffed into the package, here's to more prosperity this Chinese New Year! 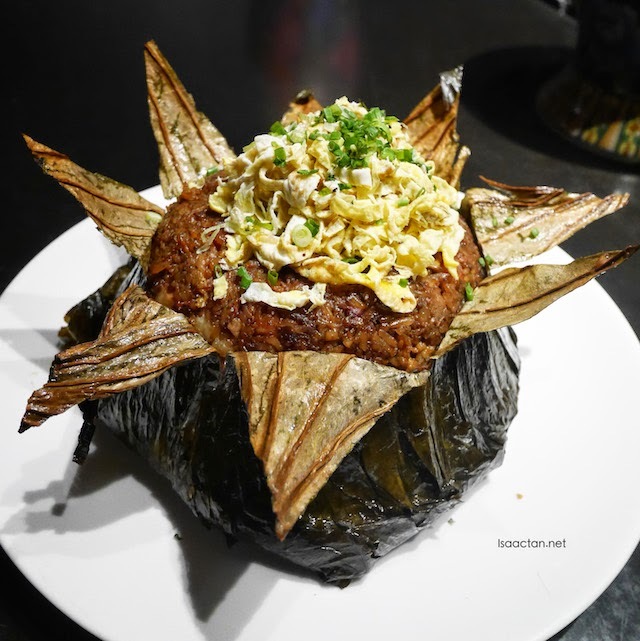 If you're not yet full, of course there's the Fried Rice with Assorted Chinese Waxed Meat Wrapped in Lotus Leaf. The scrambled egg finely cut and placed on top made all the difference in this dish. 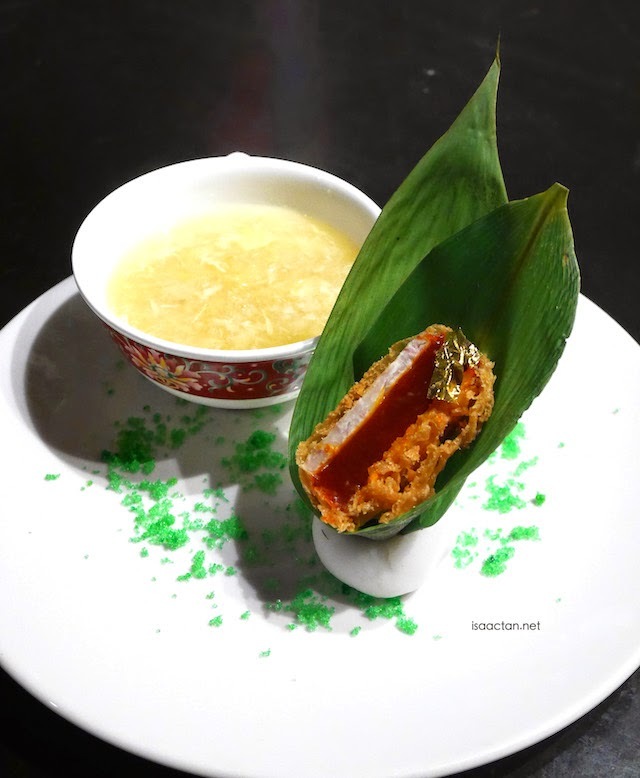 We ended a very filling meal at Lai Ching Yuen Grand Millennium Kuala Lumpur with their Hot Sweetened Cream of Green Beans and the New year "Nian Gao". 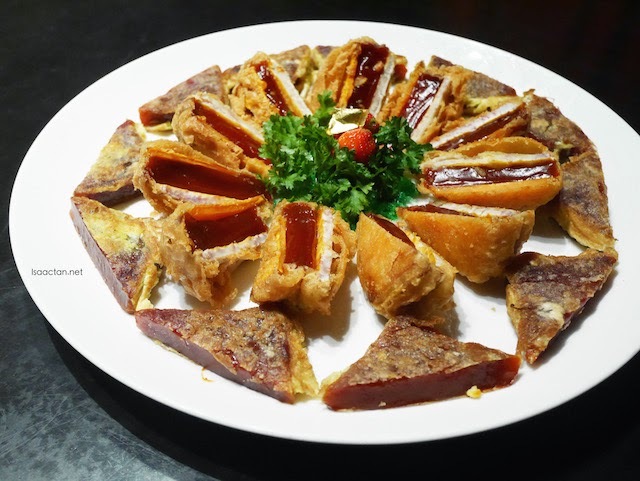 The sweet dessert really sealed off a nice hearty chinese new year meal out, with yummy “nian gao” fried with sweet potato wrapped in banana leaf tasting wonderful in the mouth. 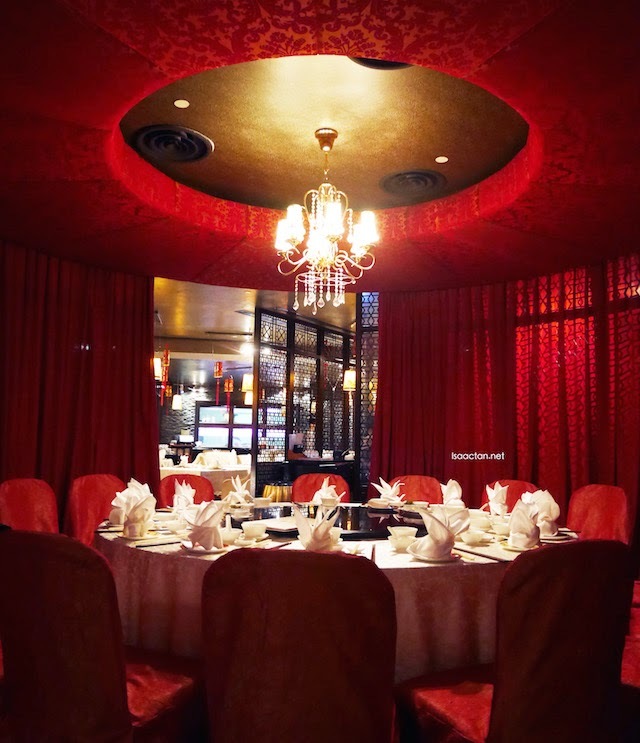 Do check out Lai Ching Yuen Grand Millennium Kuala Lumpur for your Chinese New Year dinner this year! Ooooo....the pork knuckles!!! I go all weak in the knees liao...drool...drool!!! Oh my God... I miss Grand Millennium food...they are the among the best!!! !